Our training in Eyebrow shaping is completely different to the average shaping of brows. We support the TrueBrow® System. Eyebrow professionals trained by TrueBrow® use real skill, knowledge, and technique to achieve miracles that were previously unattainable. TrueBrow® has set the bar for excellence in brow design and hand-selects every salon (or artist) for its elite training program. At KRISTYL, we are currently the only TrueBrow® Specialist on the island with this extensive training. What is the TrueBrow® System? Your brows reflect so much of you to the outside world; are you strong and overpowering, hard and shutdown, open and soft or elegant and sophisticated? Designing a brow for the first time or restoring your brows back to beauty is a task you must only entrust to a highly trained, certified TrueBrow® Specialist; an artist trained in TrueBrow® System. The TrueBrow® Specialist is trained to see your brows through fresh eyes, a little like a Chanel or Dior haute couture designer does when they begin working on their next masterpiece. They are trained in the art of real beauty, offering you the subtleties and the beautiful elegance and sophistication that will transform your beauty. Through the use of colour enhancement your brows experience a new lease of life. We often hear our clients exclaim in surprise, “I can’t believe they are my brows.” This is just one of the many rewards a TrueBrow® Specialist experiences each day as they work diligently to give women around the world the brows they thought they would never have again. True mastery can never be achieved in just short training courses. Through the use of original design principles, the experience and expertise of a TrueBrow® Specialist will show you in the time, the true potential and natural beauty of your brows. Finally, what truly makes a TrueBrow® Specialist so unique? The answer is simple… their complete and total love of the brow. A consultation is booked to discuss in detail what is expected and how we will accomplish your elegant, natural brow. This initial appointment is the Brow Design. 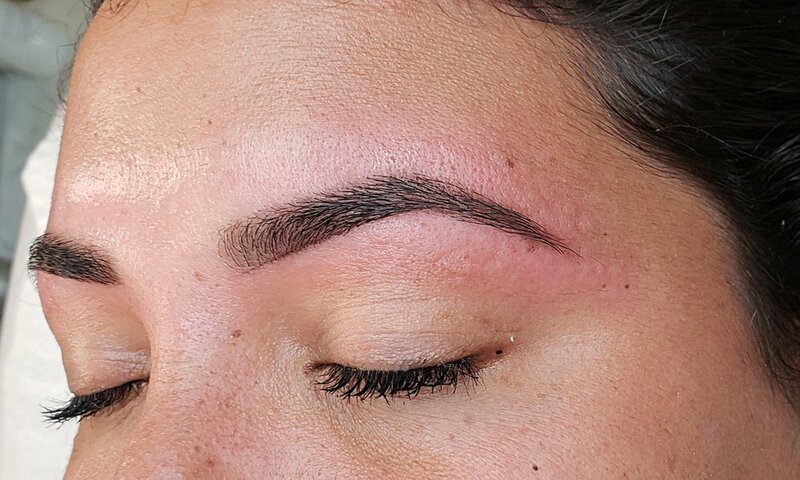 Maintenance appointments are then booked to keep the brows’ shape and show its true potential.